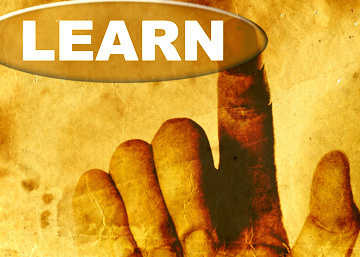 The Role of Training in a Learning Organization | Fourth Dimension Inc. The importance of training is now recognized in all progressive organizations. Some companies have fixed a certain minimum amount of training as mandatory for career advancement of their officers and executives. However, in most companies training has become some sort of an annual corporate ritual or a retreat from the stress and strains of the corporate grind. Nevertheless, there are a few companies like GEC, Motorola, Infosys, which take training seriously and made it into an effective instrument for employee development and organizational effectiveness. In this case study, training is viewed in the context of organizational learning and growth. Questions and Issues; Towards a Holistic Approach; On-the-job Training and Mentoring; Monitoring and Appraisal. Savitha Electricals Limited (SEL) is a large manufacturer of electrical goods with 8 plants all over the country making electrical equipments like transformers, switchgears etc. The CEO of SEL, Venkataraman is well aware that success in the future world of business depends on knowledge and idea. He wants to create a culture that breeds innovation and fosters learning. He believes that key-factor for building a culture of knowledge, innovation and learning is training. He wants to create a world-class training culture which can attract the best talent. The company already has different types of training programmes for new-comers, experienced engineers and managers. But CEO of SEL wants to build an in-house dedicated training center in which people can learn in a relaxed and amiable environment free from stress and strains and other distractions. He is pondering over many questions related to the feasibility and effectiveness of such a training center: Does the investment in such a dedicated training center is worth the cost? Is it right for a commercial organization to spend so much money on a non-core activity like education and training? Will it not be better to outsource it? Can it really help in turning my company into a learning organization? The CEO of SEL should have a greater clarity on the objectives of the training center he wants to build. He must arrive at a holistic perception of the role of training in a learning organization, which he wants to create and relate it to the vision, values and goals of his company. He must understand that training is not an end in itself but only a means to achieve organizational goals. Moreover a partial or narrow or vague objective like retaining talent or creating a learning organization or a top-class training center is also not enough to formulate an effective training programme. The training strategies have to be carefully and consciously related to the vision, values, goal and strategies of the organization. The strategic query which has to be pondered over is what are the new knowledge, skill, values and attitudes that have to be built into the consciousness of the people and the organization for moving forward towards the future goal of the company. If SEL has to build a learning organization it must have a clear understanding of the type of culture and values and attitudes that have to be inculcated in the people for creating a learning organization and this understanding has to become an integral part of the training programme of the company. The CEO of SEL has to think out which among the four bottom-lines that needs a predominant and focused attention for the future growth of the organization: economic, human, social and environmental. He has to formulate his training strategies according to this future direction of the company. Most of the business organizations operate within the economic bottomline, with the more progressive or successful ones like for example software companies like Infosys or Wipro giving more or less equal attention to the human bottomline. Some organizations lay a predominant emphasis on the human bottomline or the people-factor, like for example Tata Steel, with its motto of “we make human growth opportunities, we also make steel.” There are also a few companies like Body Shop of Anita Roddick with a dominant focus on the social and environmental goals. The training needs and strategies will differ depending on which domain or dimension economic, human, social, environmental the company wants to operate in the present or in the future. These are the most important decisions to be made. Other factors and question like whether the training infrastructure has to be a in-house or outsourced on the job or in the classroom or to have a dedicated training center or not, are secondary consideration which has to be decided taking into account the financial, organizational and other resources or constrains. However, a large organization with sufficient financial resources like SEL can afford to have a balanced mix of the in-house, outsourced and on-the-job training schemes with a dedicated training center. But the responsibility of training should not be confined entirely to the training center or department. For most of the effective learning in organization happens on-the-job. In a small or medium sized organization which doesn’t have the resources to have separate training cell, almost all the training or learning happens on-the-job. So the divisional managers and executives of the organizations have as much responsibility for training their subordinates on-the-job as the training department. So in a learning organization mentoring and training the subordinate must be considered as a key-responsibility of managers and senior executive and has to become a part of the performance appraisal system. In most companies on-the-job training is not given the attention it deserves. The responsibility for learning is placed more or less entirely on the trainee. But a learning organization has to pay a much greater attention to this category of training and must make a more conscious and planned effort to accelerate and maximize the learning possibility of the trainee. This requires a culture where the capacity or willingness to mentor or train others is encouraged and rewarded, not only among managers and senior executives but also in the lower levels of supervisory staff. On-the-job training has to become a conscious, well-planned and cooperative team-effort of the trainee, his superior officer and other members of the division. The other important part of training is monitoring the results. Every training scheme, project or programme has to be carefully and systematically researched monitored and assessed for its impact on the trainees and the organization. This requires frank and objective feedback from the trainees, trainers and the divisional managers and some creative research on the data. A learning organization has to constantly update its training programmes based on this feedback and research.